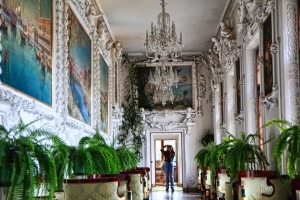 On the east bank of the Vistula River shines the most valuable and most beautiful of former Polish magnate residences – the Castle in Baranów Sandomierski. This impressive example of the renaissance architecture is one of the most well-preserved objects in Europe. On the central section of the River Vistula lies a shining pearl of the Polish 16th century architecture - the Castle in Baranów Sandomierski. The Castle with the adjacent Castle Hotel are surrounded by fourteen hectares of a parkland and they are charmingly set in the landscape of the Vistula plain. As the former seat of the Leszczyński family, that was known by its sophisticated style, the Castle is also called "the Little Wawel" in reference to the Wawel Castle in Kraków. 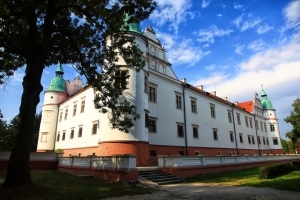 The Castle in Baranów Sandomierski is a world-class monument which atracts tourists, enthusiasts of active recreation as well as business people seeking for an interesting location for organising trainings, conferences or private meetings. The museum tours given every hour, exclusively with a guide. Tour starts every hour from 9:00 am to 3:00 pm. Tour length – approx. 45 minut. Tour of our 16th century castle which includes: traversing a park, visiting the Cloistered Castle Courtyard, visiting the Secession Castle Chapel, visiting historical interiors on first floor.